Chalcedony is cryptocrystalline quartz. It is semitransparent to opaque and, depending on its color, chalcedony is further divided into several varieties. All varieties of chalcedony were very popular in Victorian Jewelry. Moss agate, known for its green tree-like patterns was a particular favorite. Bloodstone was often used for cameos and intaglios for gentleman’s jewelry. Carnelian, also popular for intaglios, is often found in beads from the Victorian Era. Banded stones like sardonyx and onyx were used extensively for cameos and some of the most interesting beads feature banded agate. The term “hardstone” used in reference to a cameo usually refers to some form of chalcedony. 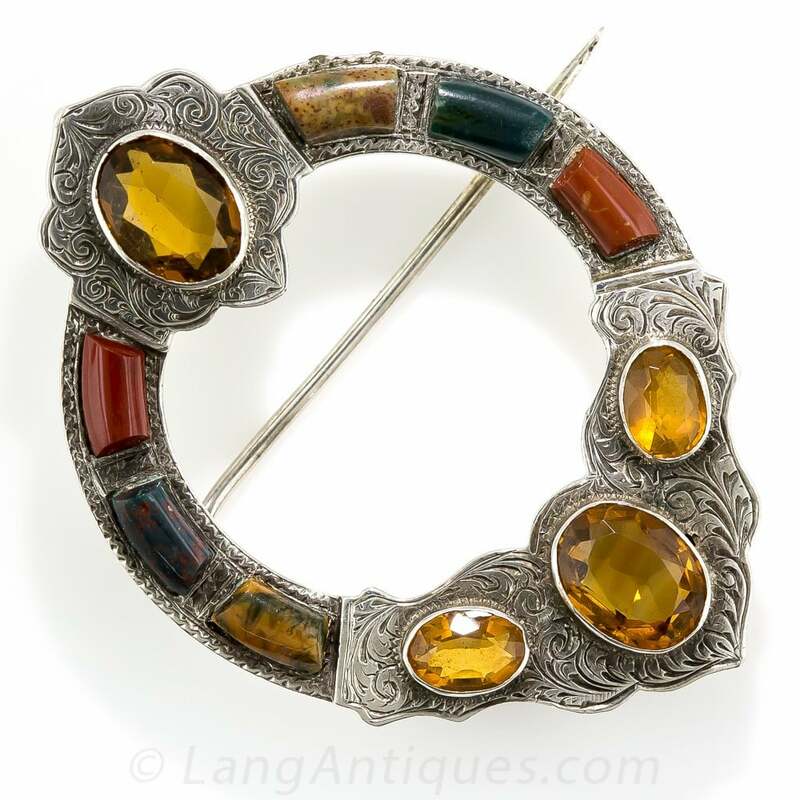 Scottish Chalcedony and Citrine Brooch.